LONDON (AP) — Prince William has enlisted Lady Gaga in his campaign to persuade people to be more open about mental health issues. 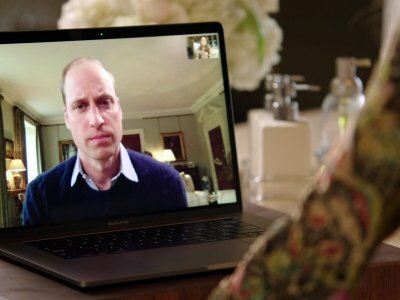 The heir to the British throne released a video Tuesday in which he speaks with the pop star via FaceTime. Lady Gaga, who last year spoke out about her struggles with post-traumatic stress disorder, places the call from her kitchen in California, and William answers at his desk in Kensington Palace. The conversation is part of the latest blitz by the young royals as they campaign to end the stigma associated with mental health issues. William and his wife, the Duchess of Cambridge, along with his brother, Prince Harry, have made mental health a focus of their charitable work. Though the royal family has toiled for years for hundreds of charities, the work on mental health represents something of a departure — in part because of the taboo long associated with psychological issues. It can be seen as an extension of the work of Diana, who among other things shook the hand of an HIV-positive man during the height of the Aids crisis. Mental health charities are flatly thrilled. Comments from the royals gain immediate attention — particularly when they offer tantalizing revelations about their private lives. But mostly the comments show that it is normal to seek assistance when going through tough times. The Campaign Against Living Miserably, or CALM, said research shows that men particularly have trouble telling others when they feel depressed. “Prince Harry sharing how he needed support to cope with losing his mother shows both how normal it is to go through a tough time and how much opening up can help,” CEO Simon Gunning said in an email. “Even though it was hard, the best thing that could come out of my mental illness was to share it with other people and let our generation, as well as other generations, know that if you are feeling not well in your mind that you’re not alone and that people that you think would never have a problem, do,” she said. William also applauded grime musician Stormzy for talking about his battle with depression in the publication CALMzine. “There may be a time and a place for the ‘stiff upper lip’, but not at the expense of your health,” William said in CALMzine.